1. Total distance of route and date of ride? 2. How long did it take to complete? Were you going fast or travelling leisurely? 3. Why are you recommending this route? What’s special about it? 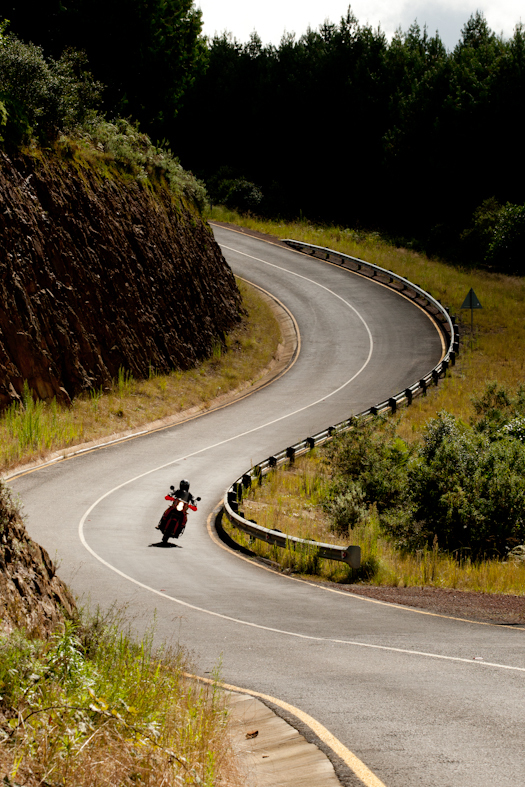 Within a comfortable four-hour range of Johannesburg or Pretoria, including great riding from early on in your journey from Gauteng. 4. Please tell us how the route runs. Take N4 from Johannesburg or Pretoria and head west to Mbombela (Nelspruit). Just north of Mbombela, take R37 to Sabie. Then turn onto R539 all the way to Mashising (Lydenburg). Take R37 to Sabie. Continue till you meet R532, turn left to Sabie. With R532 you go towards Graskop and at T-junction you turn right to meet the R535 later, which you then take (left) to go to Graskop. 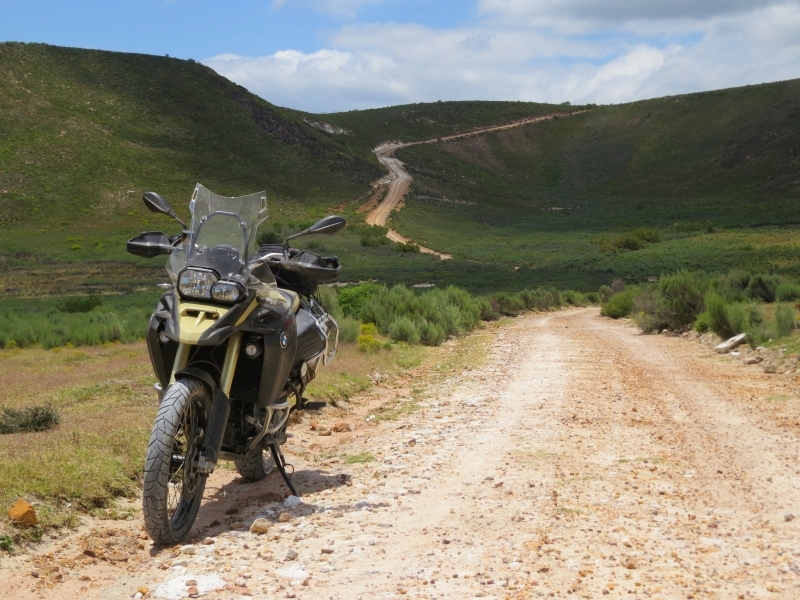 From Graskop you go to Pilgrim’s Rest with the R533. Outside Pilgrim’s Rest follow the dirt road that follows the Blyde River. This road goes all the way to Ohrigstad. From here you take the R36 south and then later on turn left onto the R533 again, back to Pilgrim’s Rest and then Graskop. Continue on the R533. A few kilometres from where the R535 turns off to your right you take a gravel road to your left. Follow this road all the way to the R531. Take the R531 north until you reach the R527. Turn left here towards Diputhi. Take the R36 south, pass Ohrigstad all the way back to Mashising. Continue with the R36 through Mashising and then turn onto the R540. 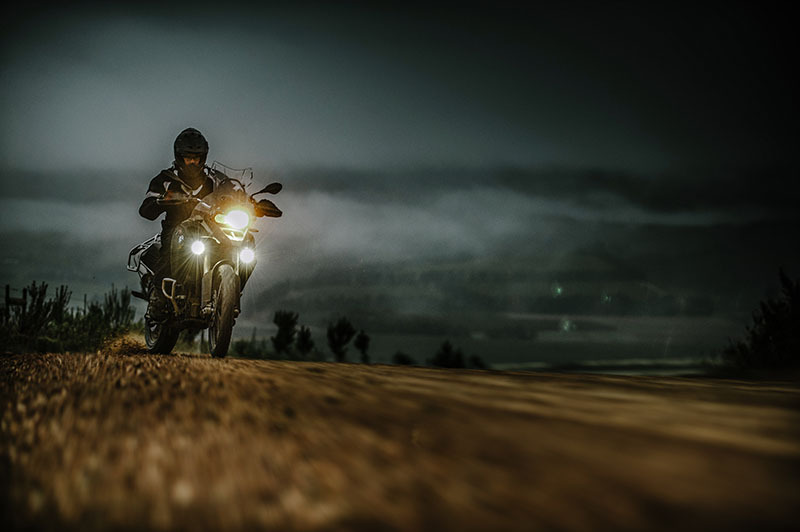 Take the dirt road to your right which passes Enkeldoorn Primary School, Rooikrans Primary School and Bosfontein Primary School. 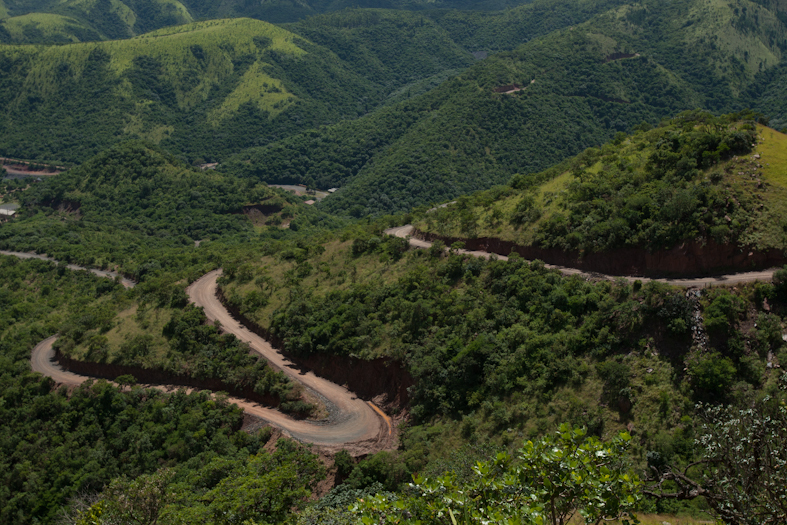 This road later becomes the R577, which will take you to Roossenekal. From here you take the R555 south until you reach the R33. Turn right on the R33 towards Loskopdam. Take the gravel road to your left that takes you round Loskopdam to Verena-D. From here you take the R25 to Bronkhorstspruit. And from here back to Pretoria with the R104. 5. What kind of motorcycle is the route suitable for? We did it on a Yamaha Super Ténéré and KTM 990 Adventure. 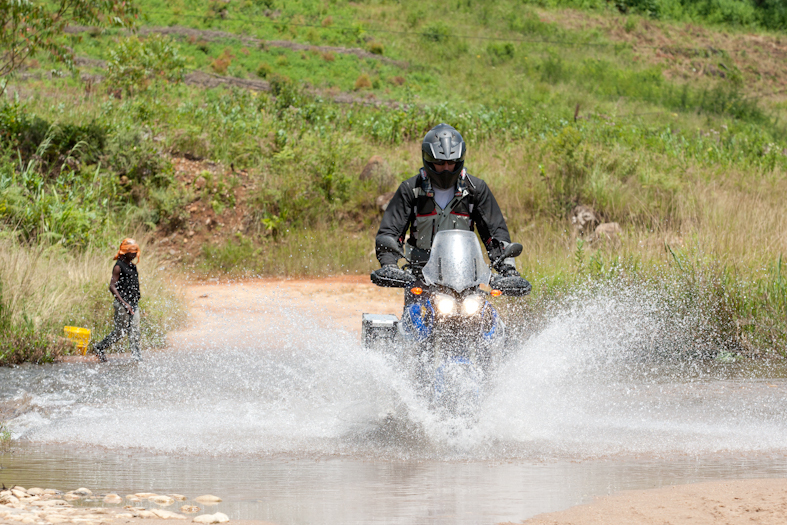 The route is suitable for any adventure bike as the off-road stretches are not too technical. 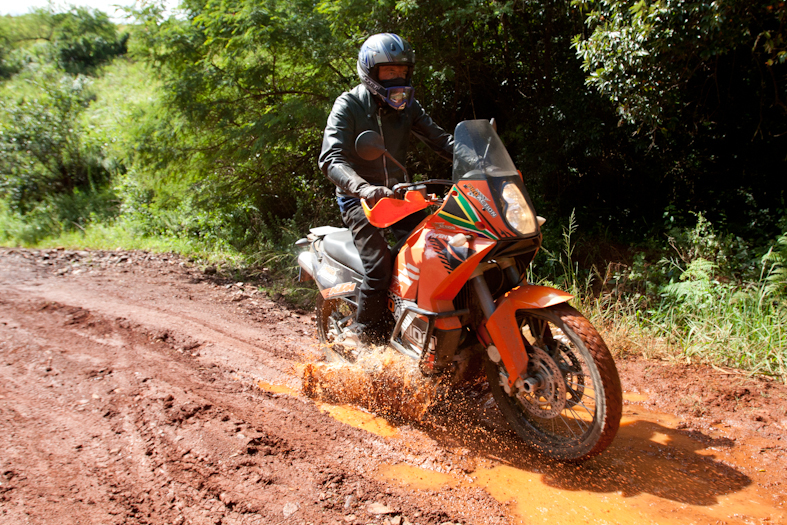 But you can also complete the route on a road bike and just bypass the dirt. 6. Please name significant points of interest along the way, e.g. eateries, supermarkets, accommodation. The Sudwala caves between Mbombela and Mashising is a great place to visit. 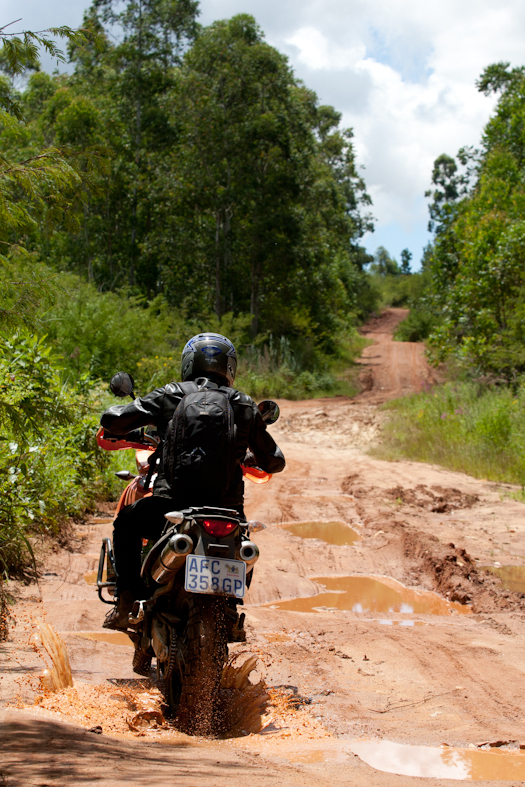 And should you be on an adventure bike, the road from Sudwala Lodge (near the caves) to Mashising is an awesome ride. In Graskop the Graskop Hotel is a lovely place to stay. Just opposite the hotel is Canimambo restaurant which serves excellent fish and gigantic hamburgers. 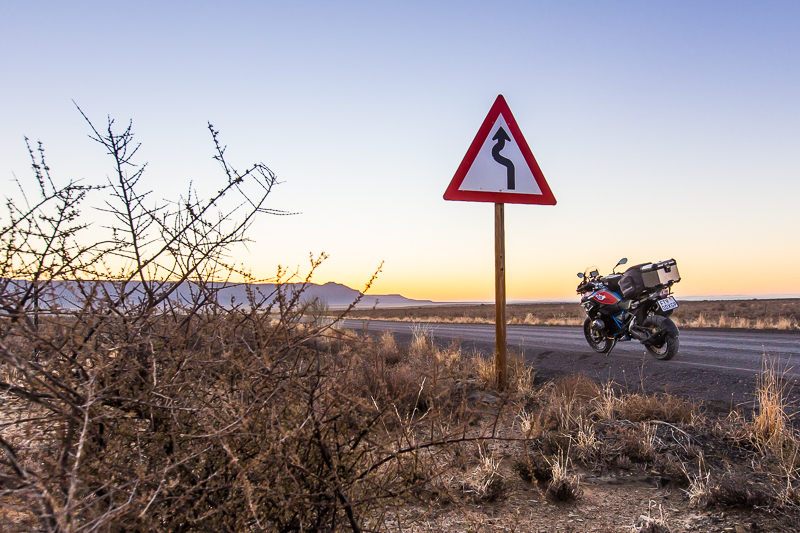 The Loco restaurant in the old Graskop railway station building is a local favourite and popular with bikers. Remember to visit sites like the Pinnacle, God’s Window and Bourke’s Luck Potholes near Graskop. Check out Pilgrim’s Rest at (www.pilgrimsrest.org.za). 7. Are there petrol stations along the way? 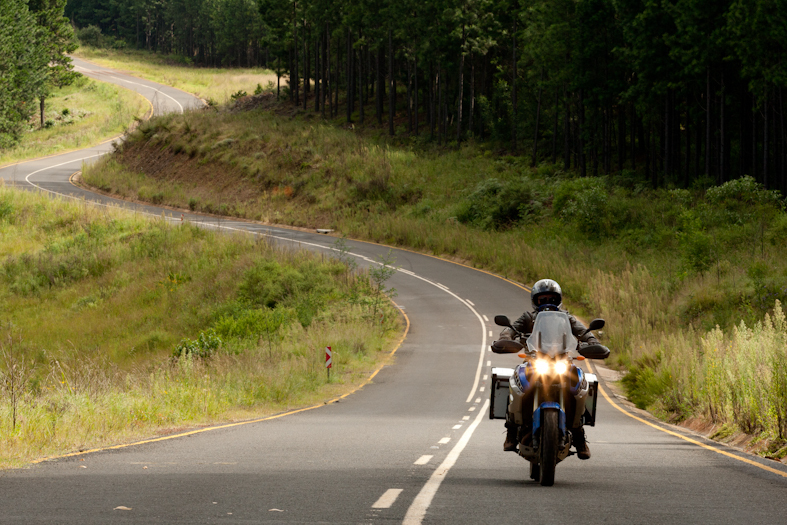 Do you know of any motorcycle repair shops along the route or in the area? More than enough petrol stations along the way. Towns are not far from each other. 8. Are there any dangers along the route, e.g. 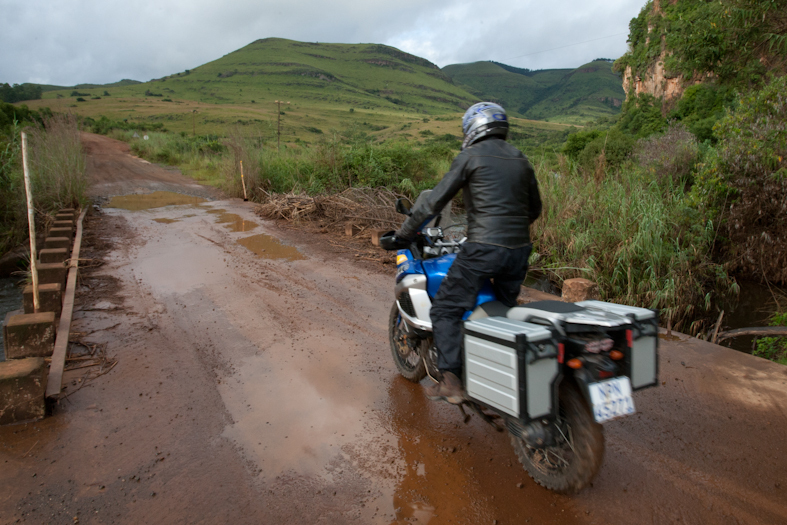 loose gravel, potholes, sharp bends, oil spills, wild animals or angry locals? 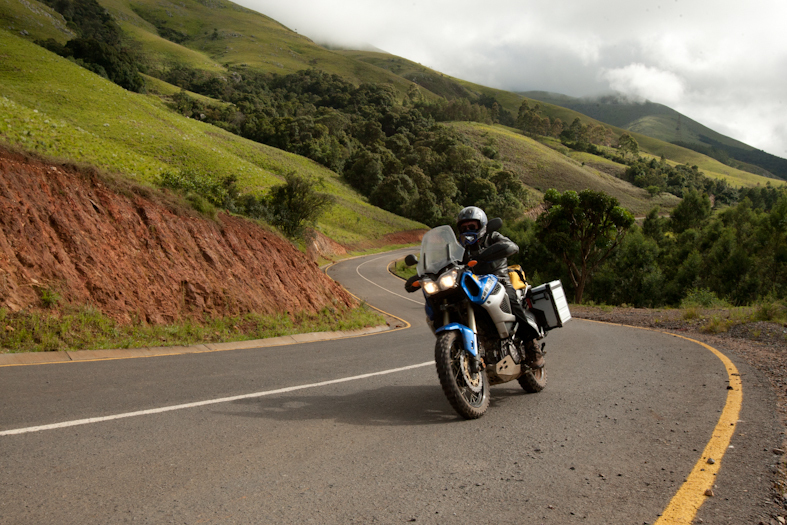 Be careful on the passes on this route; Long Tom, Robbers and Kowyns. And be on the watch for wild animals, especially in the northern part on the R531. The grass is long and right on the verge of the road. 9. What did the trip cost in fuel, meals and accommodation? 10. Did you use any special gear, e.g. 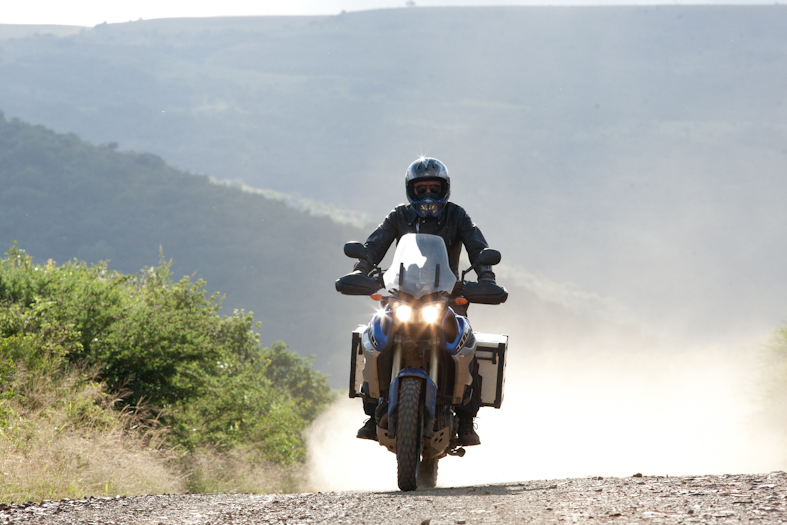 fuel bags, that made your journey possible, easier or more enjoyable? Just my Bialetti Moka Express two-cup aluminium coffee maker. 11. Any must-do activities on the route? 12. Do you have any other comments or advice about the route? If you come from far, like the Western Cape, take it slowly and visit as much of the magnificent places this region have to offer. You are most likely not going to be here soon again. 13. Are there any doctors and/or hospitals in the area that you know of? 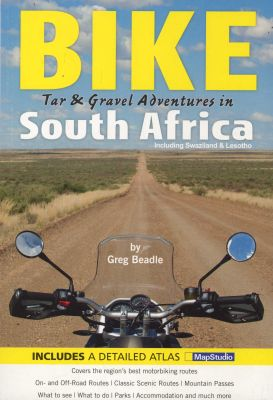 This route was taken and edited for Bikeroutes from Greg’s great book, BIKE tar & gravel adventures in South Africa. Get yourself a copy of this book here .